In my post of the best government conferences, there were several events aimed at federal government employees and govies at all levels. But, when it came to events focused on state, local, or city level government employees, there was a chance to share even more. This list should help you plan for 2016 and start advocating for those precious professional development dollars. If you’ve been looking for events that can expand your education, connect you to new people, and boost your career, this list of conferences is for you. As a bonus for the social media savvy, the listings include event hashtags, when available, for those who can’t attend but still want to participate in the virtual conversations. The conference offers an array of educational topics focusing on ACA, wellness, cost containment, best practices, roundtables and much more. The conference attracts 600 public sector benefit professionals representing state and local government entities and service providers from across the U.S.
A three-day learning and networking opportunity exclusively designed for leaders in current and emerging Gigabit Cities. Learn from people with on-the-ground experience in what it takes to successfully manage a large-scale fiber-optic buildout and what it means for the community. This conference is an opportunity to build your network, learn best practices, and engage with other women elected officials from across the country. IIMC’s conference offers an abundance of educational, information programs, and networking opportunities to help municipal clerks manage their municipality in today’s complex environment. It provides the opportunity to acquire the latest information, resources, ideas, and education to ensure success at work. Called “the premiere thinking conference for local government,” this event is hosted by the Alliance for Innovation. The 2016 Transforming Local Government Conference will be co-located with the League of Minnesota Cities Annual Conference. The conference attracts participation from local governments that are seeking new and innovative ways to connect people, information, and ideas that support their efforts to be the best communities in which to live, work, and prosper. A chance for county leaders and staff to exchange cutting-edge best practices and shape NACo’s federal policy agenda for the year ahead. The annual conference gives attendees access to information and resources to address challenges including the opioid and heroin crisis, criminal justice and mental health reform, transportation and infrastructure, economic development, and much more. The Legislative Summit is the biggest and best gathering of state legislators and staff in the country. It is a chance to exchange ideas, hear fresh perspectives, and develop solutions to pressing issues. Over 5,000 state legislators, legislative staff, government officials, business representatives, educators and others interested in public policy attend the conference. August 21 – 25, 2016 | Renaissance Washington D.C. Downtown Hotel, Washington, D.C. Presentations, panel discussions, and roundtables at the event address topics of interest across the spectrum of IT strategy and operations. NASTD also hosts seminars for the southern, midwestern, eastern, and western regions. Through an experiential program designed to inspire, inform, and activate, the EcoDistricts Summit seeks to drive meaningful, sustainable impact in cities worldwide from the neighborhood, up. The event features inspiring plenaries, mobile tours, hands-on studios, the Urban Block Party, and collaborative networking experiences to discover how cities worldwide are leveraging the power of the neighborhood and district scale to build the vibrant cities of tomorrow. NASCIO conferences are the go-to events for state IT leaders. It hosts both a mid-year event each spring and a larger annual conference each fall. Designed for local government web professionals, the NAGW conference focuses on the professional development opportunities for programmers, designers, developers, managers, PIOs, CIOs and government technology professionals at all levels of experience. The ICMA annual conference for local government managers and staff has been going strong for over 100 years. It offers an abundance of educational, information-sharing, and networking tools to help you manage your community in today’s complex environment. Save the dates for the 2017 ICMA Conference and beyond. Smart Cities Week is an interactive conference and expo that showcases cutting-edge technologies, real-world solutions, and proven strategies government leaders need to build more livable, workable, sustainable cities. City leaders have an opportunity to see, hear, and experience the next wave of innovative, integrated technologies that are already helping cities around the world become more compassionate, connected, and sustainable. The conference offers education, sessions, and networking for local government attorneys. State and local government convene at this one-day event organized by Governing magazine. Participant will be inspired to take action and advance better government. Governing magazine hosts similar government leadership events in other regions. This conference brings together leading public and private sector health policy professionals from across the country to address key topics important to the state health policy community. Setting the stage for states to work together and learn from one another, NASHP’s annual event features sessions with key health policy experts. Each year, local leaders – both elected and staff – come together and learn from experts and each other at the NLC’s City Summit (formerly Congress of Cities). The City Summit provides opportunities to learn with seminars to build your technical and leadership skills, workshops that showcase collaborative solutions to issues facing local government, and an abundance of conference workshop sessions spanning the topics most relevant to you and your community. The CSG National Conference is designed to provide state leaders with the opportunity to discuss state government trends, share cutting-edge solutions and debate what’s next on the political horizon. The CSG’s regional legislative groups also host conferences, including the Southern Legislative Conference, the Midwestern Legislative Conference, the Eastern Regional Conference, and the CSG West Annual Meeting. likely February 2017 | Washington, D.C. The NACo Legislative Conference brings over 2,000 elected and appointed county officials from across the country to focus on legislative issues facing county government. Attendees hear from key Administration officials and members of Congress and are offered educational opportunities addressing current and hot topic issues. A day of lobbying on Capitol Hill the last day rounds out the conference. Hear directly from policy makers and thought leaders on the issues that matter. Get up to speed on the federal policies that affect cities, the latest funding opportunities, and the emerging practices you can pioneer in your community. Becoming informed about infrastructure, public safety, community resilience, and federal regulations will make you a stronger advocate for your city. A six-day, executive development program designed for those leading local governments in the 21st century, such as city managers and their executive staff. Hosted by the LBJ School of Public Affairs at The University of Texas at Austin and the Texas City Management Association. The ABA Section of State and Local Government Law is the premier association for lawyers involved in urban, state, and local government law and policy. The conference allows attendees to tap into the knowledge of colleagues across the country. GSMCON attendees can collaborate with a network of city, county, state, and local social media managers, learn strategy and technique from experts and peers, and maximize their program to bring value to citizens. An opportunity to share best practices that shape the future of state and local emergency management, save lives and property, and prepare the nation for future disasters. Other State or Local Government Events? You’re out in the world discovering fantastic events for state and local government workers all the time. What events and conferences do you attend that should be included on this list? Add your suggestions in a comment at the end of this post. 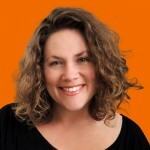 Lauren Girardin is a marketing and communications consultant, writer, and speaker based in San Francisco. She helps organizations engage their communities and tell their stories. Her website islaurengirardin.com and you can connect with her on Twitter at @girardinl.